One of the biggest concerns for any business preparing for an office move is lost productivity. Even half a day can have a tremendous impact on their profitability. And for an industry where time is billed in 15-minute increments, law firms are extremely sensitive to these challenges. This posed several challenges for Shutts & Bowen. First, how to temporarily relocate employees and clear out the office spaces so that they could be renovated. Second, how to do so in an efficient timeline that didn’t impact its employees’ ability to work or cause the project to drag out for months. John Kibbe, a Commercial Project Manager at our Orlando branch, led the project and met with the firm’s internal move team to get a better understanding of their needs and concerns. Through these conversations, Hilldrup was able to help consolidate and streamline several of the move procedures the internal move team had outlined, which helped save time and resources. Through these discussions, the team developed a move plan that included three core phases, each of which would take place on Friday evenings, and if necessary, Saturday morning. Additionally, hours before work began each Friday, John would arrive to review the plan for the day with the internal project lead. By doing so, any last-minute changes could be incorporated into that day’s work, and the equipment could be staged for the 10-man team to start right away. Hilldrup also worked with Shutts & Bowen’s move team to provide instructions for all of the company’s employees that explained how all their belongings should be packed to be safely moved by the Hilldrup team. Additionally, Hilldrup provided decommissioning services to remove unwanted items, so its new open layout wouldn’t be cluttered with remnants of the old layout. Every office is unique, with its own set of challenges to consider, and this was no different. Since the office building included other tenants, the move team didn’t have sole use of the freight elevator and needed to work around other vendors like cleaning crews. 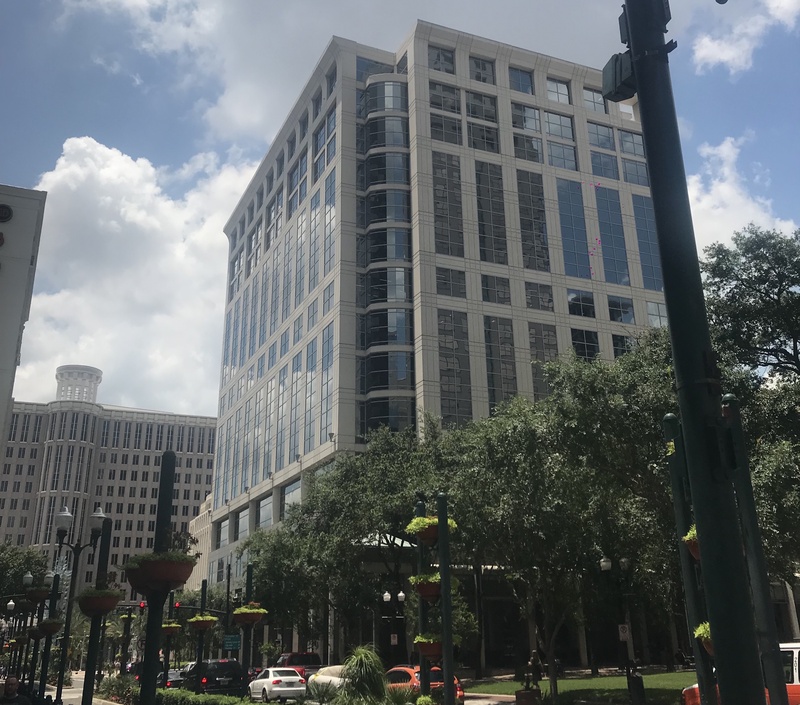 Also, the building’s location in downtown Orlando has a lot of automotive and foot traffic on the weekends that could complicate access to the site. Without the flexibility and coordination of Hilldrup’s team, these factors could have easily had a negative impact on the project’s narrow timeline. Admittedly, the Shutts & Bowen team was a bit skeptical about the weekend move phases being completed on time. They were pleasantly surprised to see only a few post-move follow-ups left for early Saturday, with the new layout ready for work on Monday morning. Suffice it to say, there are a lot of moving parts and services needed to coordinate a multi-phase, multi-level office move. While it might seem like a business simply needs a mover to come in and carry a few boxes and furniture, it takes a tremendous amount of expertise and coordination to successfully manage a complex office move without interrupting the business’ productivity. Hilldrup’s integrated service model allows for a holistic view of the task at hand and provides seamless coordination of all the services needed to deliver a stress-free, efficient move experience.